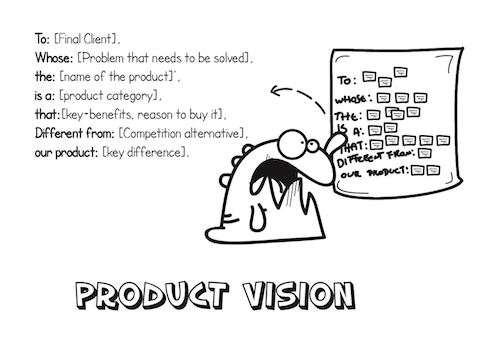 In order to get from an idea to a product launch, we need a vision of the product to help us to trace the initial path. This vision defines the essence of the business value of the product and must reflect a clear and convincing message to the product's users. This activity will help us to collaboratively define the vision of the product. This activity is based on Geoffry Moore's "vision of the product” from Crossing the Chasm . that [key-benefits, reason to buy it]. 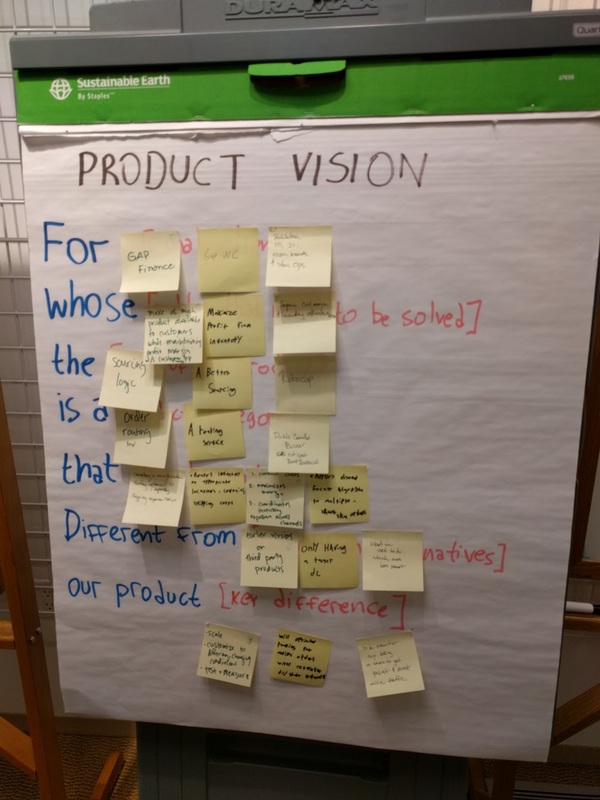 Write the product vision template in a whiteboard or flipchart so that the whole team can see it easily. Divide the team into smaller groups and ask each one to fill one blank slot (if the team is small, they can do more than one). Gather the results of each group to form the final statement. In this activity it's very common that the resulting sentence is senseless . 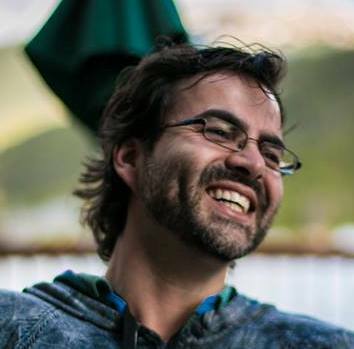 Ergo, after doing the third step, get the team to work together to form a coherent sentence, using and altering the previous results as necessary.